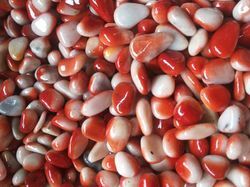 Our range of products include shaded aquarium pebbler, blue white aquarium pebbles, green yellow aquarium pebble, red white aquarium pebble and shaded aquarium pebble. 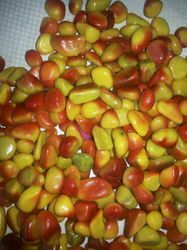 We are offering Mulitcolor Pebbles. A single piece of stone pebble having more than one color shade. Emerged as a notable firm, we offer Blue White Aquarium Pebbles to our clients. One pebble has more than one shade which makes it different and demanding. These are available in the beautiful combination of blue and white color that attracts our maximum clientele. These are available in varied sizes, range and standards as per the customers’ demands and requirements. The price range that we offer is budget-friendly. 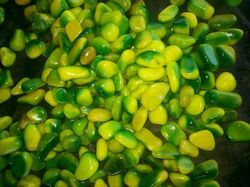 Available in the color combination of green and yellow, we offer Green Yellow Aquarium Pebble to our clients. Some people prefer one color combination rather than colorful look, so after catering the requirements of variety of clients, we segmented this range and made it available in multiple color combinations. Also we make sure to deliver the product in scheduled time and in the best possible quality. 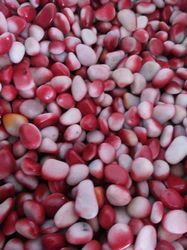 Available in the wide array, we offer Red White Aquarium Pebble to our clients. 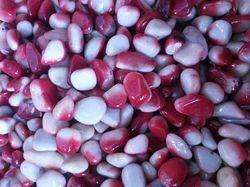 These are available in red and white color combination and is widely demanded by our clients. Also these are made using the premium quality material and advanced technology in order to make it quality oriented. The durability that it holds is excellent. Moreover, our clients can customize the product as per their requirement. 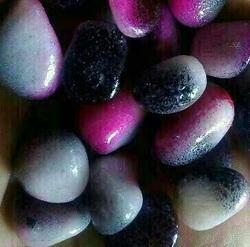 We hold good experience in offering Shaded Aquarium Pebble to our clients. These are shaded in two colors and we have a large assortment of color combinations done by our experts after catering the demands of our clients. These are absolutely safe and shines longer. he manufacturing is done at our well equipped infrastructure where we make sure to make the products using the best raw materials that we source from our reliable vendors. Looking for Shaded Aquarium Pebble ?